Meet & assist at the airport. Transfer to the hotel and check in. Breakfast at hotel. 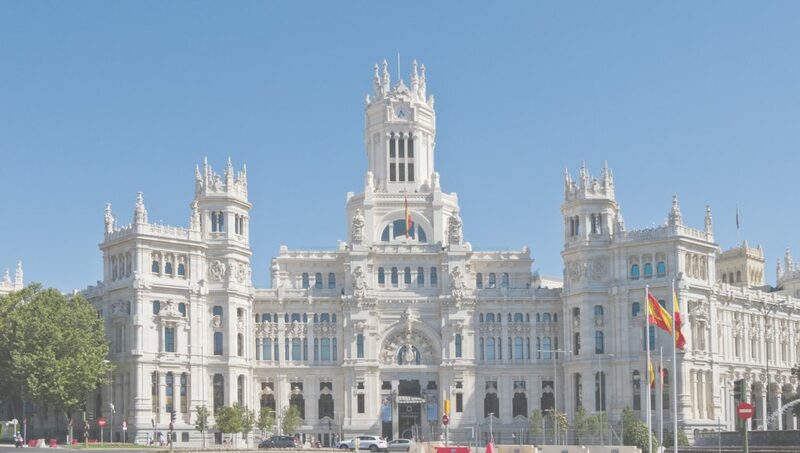 Depart to make a panoramic city tour: Gran Via, plaza Espanya, plaza Cibeles , bullfighting arena, plaza Cibeles, town house of Madrid, federal bank of Spain, Paseo de la Castellana, stadium of Real Madrid, Royal palace, Cathedral of Almudena, San Miguel market. Free afternoon at leisure and overnight in Madrid. Breakfast at hotel. Depart to Toledo (80km). Arrival and panoramic tour by the touristic train to this unique Medieval city which was the meeting city of the three cultures: Muslims, Jewish and Christian. Toledo Was the scientific centre of the world during the Muslim period. Free time to take unforgettable pictures. Then, we will continue to Granada. Arrival at hotel and check in. La Alhambra, Human Heritage by UNESCO. Itinerary starts in La Alcazaba, the oldest buildings, then the Nazaries Palaces and finally the Generalife gardens and summer palace. The Alhambra’s Islamic palaces were built for the last Muslim emirs in Spain and its court of the Nasrid dynasty. After the Reconquista by the Reyes Católicos (“Catholic Monarchs”) in 1492, some portions were used by Christian rulers. The Palace of Charles V, built by Charles V, Holy Roman Emperor in 1527, was inserted in the Alhambra within the Nasrid fortifications. The Alhambra is now one of Spain’s major tourist attractions, exhibiting the country’s most significant and well known Arab-Islamic architecture, together with 16th-century and later Christian building and garden interventions. The Alhambra is a UNESCO World Heritage Site, and the inspiration for many songs and stories. In the afternoon, we will make a walking tour at downtown: Calle de los Reyes Católicos, Plaza del Carmen, Townhouse, Plaza Isabel la Católica, plaza Nueva, Calle Elvira. Then, we will visit the oldest quarter of Granada “Albaizin” when we will have the opportunity to take wonderful pictures of the city and La Alhambra from the viewer of San Nicolas. The Great Mosque -Aljama- of Cordoba, built during the period of Moorish occupation, is the most splendid Islamic monument in the western world. 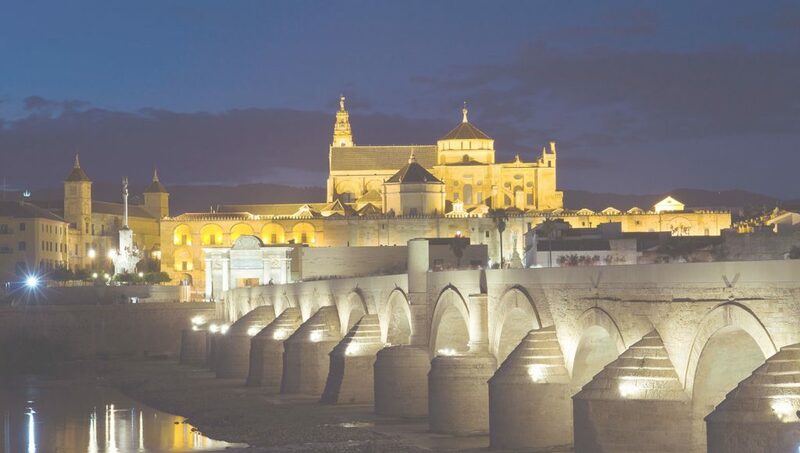 Its construction commenced in 785, when Abd-ar-Rahman established Cordoba as capital of Andalucia, on the site of an ancient church dedicated to San Vicente and was extended during successive periods by Abd-ar-Rahman II, Al-Hakam II and Almanzor. Then, we will continue to Sevilla. Check in and Overnight in Sevilla. Plaza Espanya, Royal Alcazar, Park María Luisa,Golden Tower, University of Sevilla, Marine academy, Santa Cruz quarter and the Cathedral. In the afternoon, transfer to the train station to take the high speed train to Madrid. Arrival, transfer to the hotel and check in. • All hotels are downtown. • Car used is Limousine till 3 persons and Minivan Mercedes from 4 till 6 persons. • Full assistance during all the trip. • English speaking driver / Tour Manager during all the trip. • Regarding to the meals, we will guide you to nice restaurants and you can pay directly what you will order which is cheaper and more comfortable. • All service will be private. • Meet & assist upon arrival by our staff. • Offer valid till 6 persons only and tarting from 7 pax will be considered as a group so we need to receive a mail request and will answer you in 24hrs only. • Meet & assist at the airport. • Private transfer airport/ hotel Madrid. 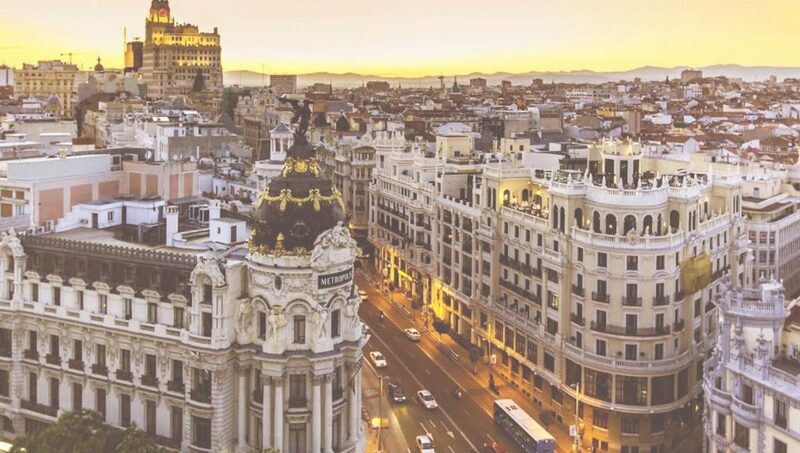 • Private panoramic city tour Madrid . • Long private transfer Madrid / Toledo / Granada. • Long private transfer Granada/ Cordoba/ Sevilla. • Panoramic tour in Toledo by the touristic train. • Private tour visit La alhambra including English speaking guide, entrance fee and car. • Visit the Mosque of Cordoba, including entrance fees. • Private panoramic tour in Sevilla including horse carriage. • High speed train ticket Sevilla / Madrid. • Private transfer from train station Madrid/ hotel. • Private transfer hotel Madrid / Airport. • 01 night in Sevilla.Breakfast buffet included.